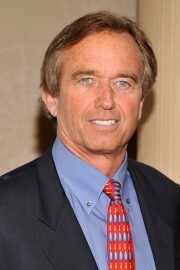 Austin, TX, March 23, 2015	(Newswire.com) - Robert F. Kennedy, Jr., is calling for Texans to fight back against proposed legislation which would enforce mandatory vaccinations on all children and public school employees in the state, eliminating informed consent and personal choice on this private health matter. As proposed, the bills would place state government and health officials, not individuals, in a position of final authority on what vaccinations are given and when. In addition, these bills would restrict or eliminate religious exemptions to immunizations. "Although I am fiercely pro-vaccine, and had all six of my children vaccinated, I oppose current efforts to remove or restrict existing exemptions," Kennedy says. "We can't solve a credibility problem by forcing immunizations without informed consent." American radio host, environmental activist, author and attorney specializing in environmental law. Robert F. Kennedy, Jr. presents: Private screening of "Trace Amounts"
Filmmakers, Eric Gladen and Shiloh Levine - will be on hand at the screening for Q&A with the audience. 1 p.m., members of Texans for Vaccine Choice and other concerned citizens will gather on the South steps of the Capitol to draw attention to vaccine injury and voice their opposition to the various bills filed this session which threaten the right to make informed medical decisions without government interference. For more information, contact Michelle Schneider at (214) 500-0418 or mlg5678@yahoo.com. You can also visit www.texansforvaccinechoice.com and www.traceamounts.com for more information about state- and nationwide efforts to educate citizens about vaccine safety and informed consent. Atlanta Daybook helps nonprofits engage local community influencers around stories and events.